The current version of our terms and conditions is available at: https://www.chinacnc.co.uk/terms-conditions. 1.5 In this policy, "we", "us" and "our" refer to Source in Asia Limited. For more information about us, see Section 12. 2.2 We may process data about your use of our website and services classified as "usage data". The usage data may include your IP address, geographical location, browser type and version, operating system, referral source, length of visit, page views and website navigation paths, as well as information about the timing, frequency and pattern of your service use. The source of the usage data is our analytics tracking system. This usage data may be processed for the purposes of analysing the use of the website and services. The legal basis for this processing is consent OR our legitimate interests, namely monitoring and improving our website and services. 2.3 We may process your account data classified as "account data". The account data may include your name and email address. The source of the account data is you or your employer. The account data may be processed for the purposes of operating our website, providing our services, ensuring the security of our website and services, maintaining back-ups of our databases and communicating with you. The legal basis for this processing is consent OR our legitimate interests, namely the proper administration of our website and business OR the performance of a contract between you and us and/or taking steps, at your request, to enter into such a contract. 2.4 We may process your information included in your personal profile on our website and classified as "profile data". The profile data may include your name, address, telephone number, email address, profile pictures, gender, date of birth, relationship status, interests and hobbies, educational details and employment details. The profile data may be processed for the purposes of enabling and monitoring your use of our website and services. The legal basis for this processing is consent OR our legitimate interests, namely the proper administration of our website and business OR the performance of a contract between you and us and/or taking steps, at you request, to enter into such a contract. 2.5 We may process your personal data that are provided in the course of the use of our services and will be classified as "service data". The source of the service data is you or your employer. The service data may be processed for the purposes of operating our website, providing our services, ensuring the security of our website and services, maintaining back-ups of our databases and communicating with you. The legal basis for this processing is consent OR our legitimate interests, namely the proper administration of our website and business OR the performance of a contract between you and us and/or taking steps, at your request, to enter into such a contract. 2.6 We may process information that you post for publication on our website or through our services and is namely "publication data". The publication data may be processed for the purposes of enabling such publication and administering our website and services. The legal basis for this processing is consent OR our legitimate interests, namely [the proper administration of our website and business OR the performance of a contract between you and us and/or taking steps, at your request, to enter into such a contract. 2.7 We may process information contained in any enquiry you submit to us regarding goods and/or services and is identified as "enquiry data". The enquiry data may be processed for the purposes of offering, marketing and selling relevant goods and/or services to you. The legal basis for this processing is consent. 2.8 We may process information relating to our customer relationships, including customer contact information and identified as "customer relationship data". The customer relationship data may include your name, your employer, your job title or role, your contact details, and information contained in communications between us and you or your employer. The source of the customer relationship data is you or your employer. The customer relationship data may be processed for the purposes of managing our relationships with customers, communicating with customers, keeping records of those communications and promoting our products and services to customers. The legal basis for this processing is consent OR our legitimate interests, namely the proper management of our customer relationships. 2.9 We may process information relating to transactions, including purchases of goods and services, that you enter into with us and/or through our website will be identified as "transaction data". The transaction data may include your contact details, your card details and the transaction details. The transaction data may be processed for the purpose of supplying the purchased goods and services and keeping proper records of those transactions. The legal basis for this processing is the performance of a contract between you and us and/or taking steps, at your request, to enter into such a contract and our legitimate interests, namely the proper administration of our website and business. 2.10 We may process information that you provide to us for the purpose of subscribing to our email notifications and/or newsletters and will be classified as "notification data". The notification data may be processed for the purposes of sending you the relevant notifications and/or newsletters. The legal basis for this processing is consent OR the performance of a contract between you and us and/or taking steps, at your request, to enter into such a contract. 2.11 We may process information contained in or relating to any communication that you send to us and will be classified as "correspondence data". The correspondence data may include the communication content and metadata and emails associated with the communication. Our website will generate the metadata associated with communications made using the website contact forms. The correspondence data may be processed for the purposes of communicating with you and record-keeping. The legal basis for this processing is our legitimate interests, namely the proper administration of our website and business and communications with users. 2.12 We may process identify general category of data. This data may include list specific items of data. The source of this data are emails. This data may be processed as contractual correspondence. The legal basis for this processing is consent OR the performance of a contract between you and us and/or taking steps, at your request, to enter into such a contract. 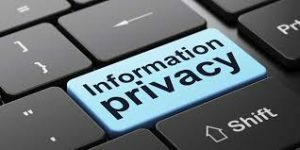 3.1 We may disclose your personal data to any member of our group of companies stated in the Cover. 3.2 We may disclose your personal data to [our insurers and/or professional shippers insofar as reasonably necessary for the purposes of obtaining or maintaining insurance coverage, managing risks, obtaining professional advice, or the establishment, exercise or defence of legal claims, whether in court proceedings or in an administrative or out-of-court procedure. 3.4 We may disclose your enquiry data to one or more of those selected third party suppliers of goods and services identified on our website for the purpose of allowing these sub contractors to provide working quotations. Where required, a Confidentiality Agreement (Documentation 8006) will be raised on the supplier. The Supplier will NOT have direct contact with the customer. No personal data from the person/company will be passed onto the supplier without the person/company consent. 4.2 We and our other group companies] may use offices and facilities] in China and other Far East Countries. The European Commission has made an "adequacy decision" with respect to the data protection laws of each of these countries. Transfers to China and other Far East countries will be protected by appropriate safeguards, namely the use of standard data protection clauses adopted or approved by the European Commission. 4.3 The hosting facilities for our website are situated in USA. The European Commission has made an "adequacy decision" with respect to [the data protection laws of each of these countries. Transfers to the USA will be protected by appropriate safeguards, namely [the use of standard data protection clauses adopted or approved by the European Commission. (a) All personal data will be retained for a minimum period of 6 years following first contact with the company. 6.3 We will not notify you of changes OR significant changes to this policy. 7.5 In some circumstances you have the right to the erasure of your personal data without undue delay. Those circumstances include: [the personal data are no longer necessary in relation to the purposes for which they were collected or otherwise processed; you withdraw consent to consent-based processing; you object to the processing under certain rules of applicable data protection law; the processing is for direct marketing purposes; and the personal data have been unlawfully processed]. However, there are exclusions of the right to erasure. 12.1 This website is owned and operated by Source in Asia Limited, and it also owns websites www.chinacnc.co.uk www.source2chinaco.uk and www.precisionmachiningservicesuk.co.uk This private policy also covers these websites. 12.2 We are registered in England and Wales under registration number 7836527, and our registered office is at 5 Ennerdale Drive, Walton-le-Dale, Preston, Lancashire. PR5 4BX. 12.3 Our principal place of business is at 5 Ennerdale Drive, Walton-le-Dale, Preston, Lancashire. PR5 4BX. (c) By telephone, on the contact number published on our website from time to time; or +44 1772 460104. 13.1 Our data protection officer's contact details are: Lynn Jones, Managing Director.